Do you want to add extra seating in your backyard to relax and enjoy? If you have a tree with enough space around the tree trunk, a tree bench will be a good idea. It wraps around the tree and provides a cool and comfortable place for rest. A store-bought tree bench can be very expensive, ranging from hundreds to even thousands of dollars. 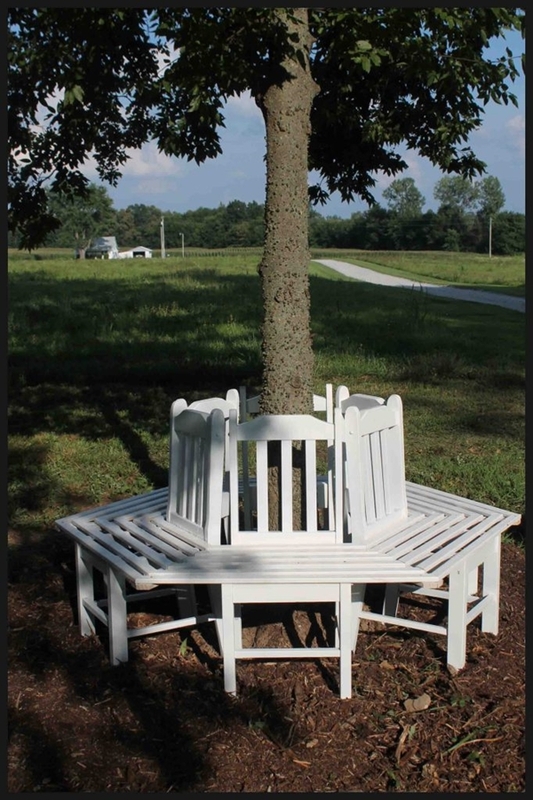 But thanks to the creative minds and skillful hands of the DIY enthusiasts, now it’s possible to build a budget-friendly tree bench on your own! 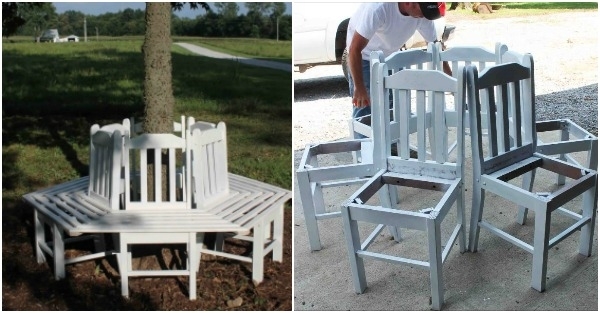 In this tutorial, Heather from tooinspiredtosleep.com came up with this creative idea and showed how to build a bench around a tree using old kitchen chairs. 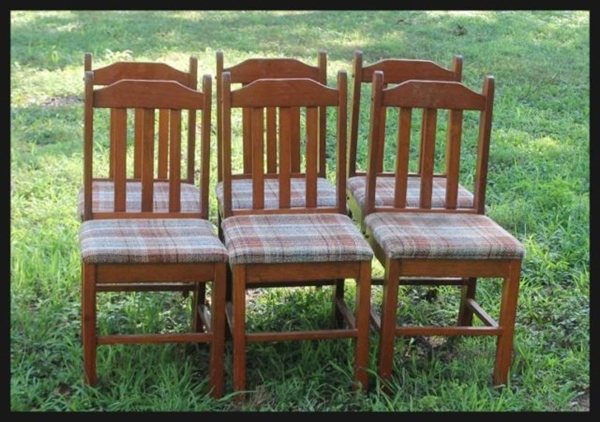 Here are the six old chairs she got for $75. 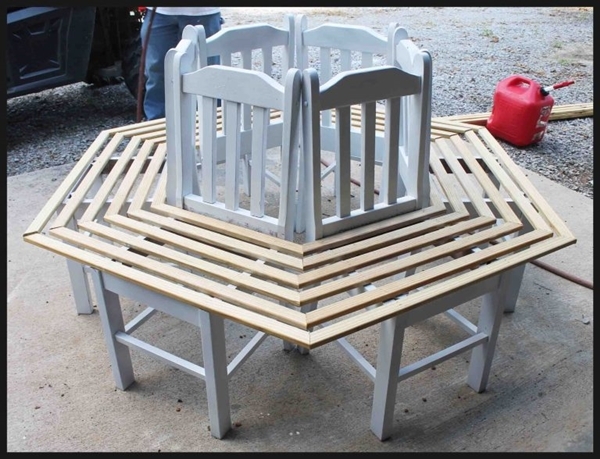 After some cleaning up and painting work, they arranged the chairs in a circle and cut some timber for the seating. This is how the final result looked like. Isn’t that beautiful? The entire cost of the this project is only $100! 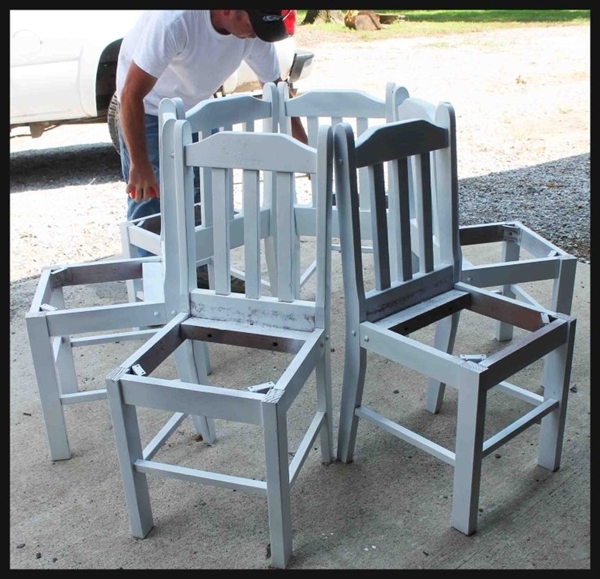 You can find cheaper chairs in local yard sales, thrift stores, craigslist and even get them for free! 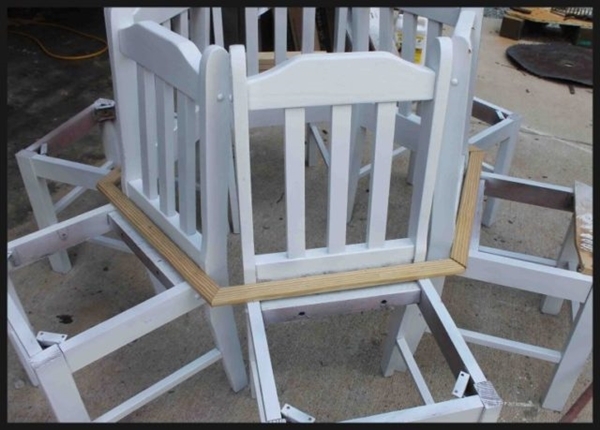 Then you’ll just need some paint, timber and basic tools to start building your own tree bench.